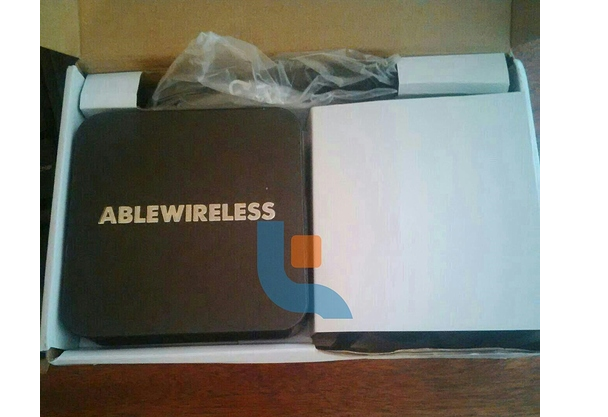 Able wireless has gone live with a pilot for home internet in Ruaraka, Nairobi. The startup that has had a tough time getting into the market after previous hurdles with regulation takes on the big boys. The Kenyan startup took many months to get their hardware-based product type approved by the Communications Authority that by the time they got the approval, they were already burnt out. They took a break and for the last few months were setting up for roll-out. The solution they sell includes a Raspberry Pi powered TV box and an internet connection. Set up for this is Kshs 2500 and monthly payments are Kshs 500 for an internet connection and media content streaming. In a market where such solutions are only provided by the big players like Zuku, Jamii Telecom, Liquid telecom and Safaricom, Able Wireless is seen as a saviour. Zuku offers internet, cable tv and telephone in a triple play offering while Jamii telecom offers internet and recently introduced an Android box. Liquid Telecom also has pilots for home internet and a TV box. Safaricom which isn’t yet defined in the home internet space also sells an Android Set Top box that did not do well due to bad product design. Able Wireless is unique due to pricing while at the same time giving great speeds. A source we spoke to tells us that they chose to roll-out in Ruaraka as opposed to other affluent estates like has been the norm because they don’t target the rich. They are a mass market product for those who are yet to be served. The source also added that Able Wireless which is headquartered in Ruaraka already has over 1000 customers at the time of going live today. The users are said to be streaming Netflix and other video content with no complaints whatsoever and this is at just a third of the capacity that Able Wireless has. The current challenge the startup has is dealing with demand which is growing quite fast due to the pricing versus value of their product. The product which is an internet connection and a TV box streams content by initially buffering and once a user starts viewing content there is no buffering again as it loads the other content in the background once the viewer starts playing. We have reached out to Able Wireless team and should get back to you with more updates when we get them. I agree this is a pilot but why are they are very sketchy with details. There is just no significant info about the service. Even their website does not have much info to go on. Hope they can work on that. The first question to ask is: what is the speed? For an internet provider that should be the selling point! I asked that question and soon as we get feedback we shall update. So far the feedback I have is that users are streaming Netflix quite efficiently. That is a very sketchy reply as well! Yes it is sketchy, but I don’t work for Able Wireless. This information will soon be available, you know! So many details we don’t know. Like are they using fiber. Last mile is terrestrial. I’m yet to talk to the owners to get the proper feed. Believe you me we have reached out to them. Ksh 500 for internet? That’s a really good deal..too good. Please get more details. Thanks for this. Whoever wrote this article was so shallow…did he go to these “AbleWireless” guys to get details or he just asked his neighbor! do better! Thanks for your kind comments, yes I did, but the source of the information is not Able Wireless. And as indicated in the article, we have sought comments from Able Wireless team and they are yet to get back to us. My name is Martin Gicheru, it’s up there in the by-line. lol…that guy seems to have tested your patience there…but you have handled it professionally. > What is the internet speed for the KES 500 offer? > What other internet speed bundle offers do they have? > Is the internet dedicated or shared? If shared, how many routers per connection? Is it possible to get a dedicated connection? > How soon can someone not in Ruaraka (let’s say I stay in Imara) be connected? > How good is their customer care service on a scale of Zuku to JTL (with Zuku being nigh-on non-existent and JTL being pretty legit)? Thanks @daitensai:disqus, a link to the website is in the first sentence of the article. And yes these are questions we also need to find out too. Im I being bad if I ask they even upload a video showing how this thing works? Or even a view at what you will stream? No you are not, quite natural. We expect something similar too. What are the speeds? This is not described on their website either. I am assuming that ABLE are working on a pilot project before they roll out to the masses. This is because the kind of traffic that will result should they reach out to everybody will be insane!! Something I want to see is how they will beat all the other providers in offering stable connections that can stream movies and Youtube for say 200,000 people at a go. Mitch could you do a speedtest on a device connected? I wish this thing emerges successful as it will enable the masses to have good internet and better T.V services! Very nice! When Zuku came calling, it was the same magic figure of 2500/- for installation…..and 12oo/- subscription….for a whopping 10Mbps. So? Here’s I in my waiting cap………. When do they expect a full scale country wide distribution? Only for a selected few estates. When will people start providing services for the masses? Wakora wakubwa! RIP after stealing thousands of KSH from people and just dropping out. Pathetic.